Fort Lauderdale, FL – The price of gas kept going down during the past week, even through the holiday weekend, according to the latest report from the U.S. Energy Information Administration. Prices went down in all regions, with declines ranging from a penny to over eight cents. That helped bring the national average price for a gallon of regular unleaded below $2.30 for the first time in weeks, settling at $2.29, according to the E.I.A. report. Diesel prices held fairly steady again this week, by the E.I.A. report. However, prices are, overall, trickling downward. 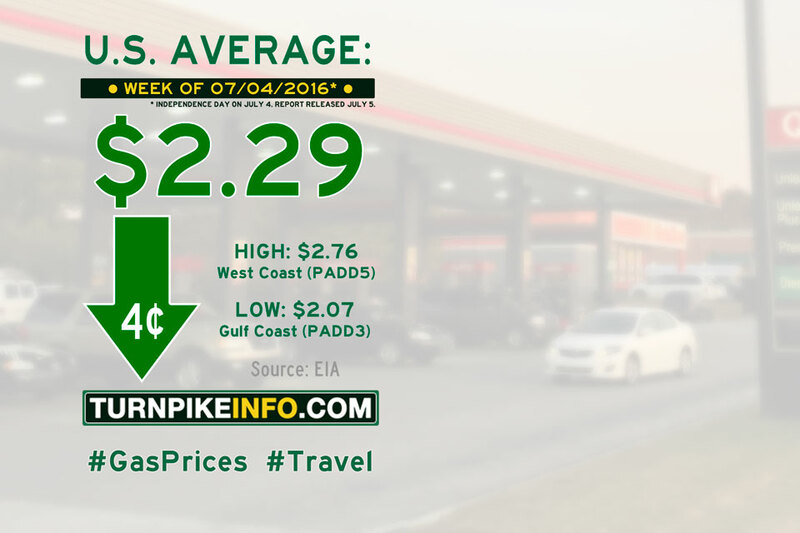 Meanwhile, the national average price for diesel ticked down a penny to $2.42 per gallon.